A quick Internet search reveals this question has been debated for many decades, even before the famed physicist (1879-1955) and secular Jew died. 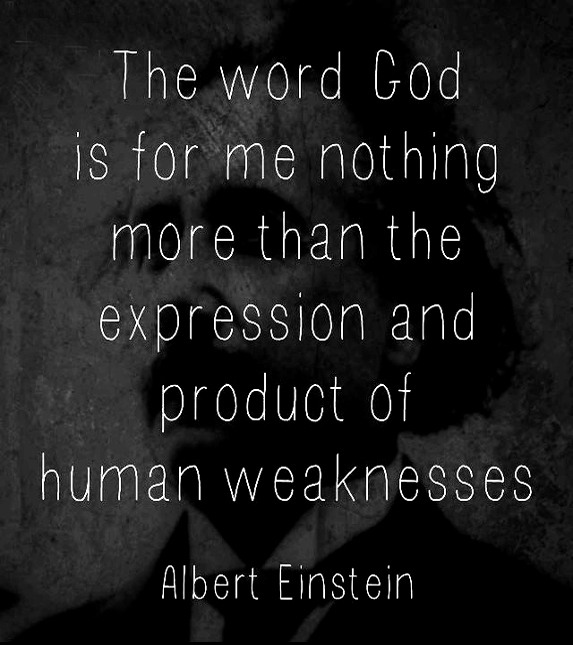 According to Wikipedia, Einstein used many labels to describe his “religious” views, including agnostic (one who simply doesn’t know if there’s a God) and religious nonbeliever (which appears to be pursuing inner spirituality without any connection to a creator). Whichever term you prefer, I get the feeling Einstein lived most, if not all, of his life as if there was no God. In other words, he likely had more in common with atheists than with people of faith. All that said, what about the quote in the graphic that inspired this essay? In some ways, he and I are in absolute agreement. I am weak. Just like every other person on this planet. Fear, mistrust and self-doubt are part of my makeup. Just as they are part of yours. A creator who simply winds up the universe like a clock, then walks away and lets it run with no concern or involvement is not a creator I would bother with. Would you? But a creator that inspired and energized the entire life, death and resurrection of Jesus Christ (whom serious Christians believe is God’s son)? Ah, that’s a God who’s making a difference in this broken world. According to the Bible (which a majority of Christians take very seriously), that God offers this world a gift: Jesus, his life, teachings, sacrificial death and resurrection. Because all of us are weak, because all of us do wrong and fail to do right, I call that good news. And by accepting the gift of Jesus, we accept a perfect, eternal source of energy, confidence and love to help us overcome our weaknesses. In addition, we have the encouragement (and often, the example) of other Jesus followers. When I join them in church, in prayer/discussion groups, in trips to help people in the developing world, I benefit from (and help contribute to) a synergy: the whole becomes greater than the sum of its parts. Do you want to get in on this? Yes or no, type your thoughts below and let’s have a conversation.